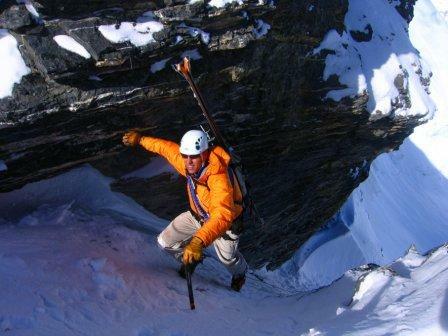 Custom Outdoor Experience Guiding is done by ACMG/IFMGA Mountain Guide Mike Adolph. Additional ACMG guides may be contracted as required. Mike has been climbing and guiding for almost fifteen years and has made a number of difficult including a number of first ascents. He has extensive guiding experience on all types of terrain. Years spent teaching skills courses to adults and youth have made him a skilled instructor who is keen to pass on his knowledge. Some of Mike's previous students have even gone on to become sucsessful guides and instructors who now are operating their own companies! 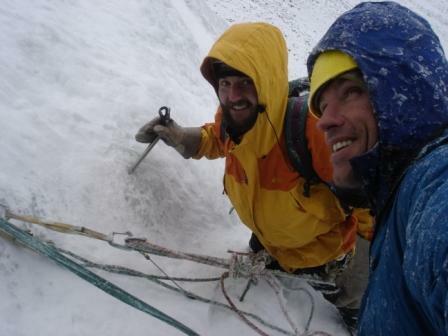 Check out some New Routes on rock, ice, and in the alpine! Numerous ice climbs throughout the Rockies up to WI6+ and M8. Numerous first ascents of rock routes up to 5.11, ice routes up to WI6, and alpine routes of all types. Rock climbs up to grade V 5.10+ A2 around North America and New Zealand. Mike has also recently started kiteboarding and hopes to bring his new skills into the COE course line up in the near future.